The messages on recalibrating our lives at this point of the year are rife and coming at us from a multiplicity of directions. This is the period in which we look to our leadership for words and ideas that inspire us as we embark on the New Year, with fresh ideas and innovative thinking going forward. Over this coming Shabbos, known as Shabbos Shuvah, the seminal Shabbos between Rosh Hashanah and Yom Kippur, rabbis will be ascending their pulpits on Shabbos afternoon to deliver those precise types of messages that can focus and direct us, both personally and communally, as we seek changes and improvements in our relationships and lives in general. The Orthodox Union Women’s Initiative program is presenting Israeli journalist Sivan Rahav Meir who will be speaking at a number of shuls over Shabbos and Sunday, including shuls in Teaneck, Great Neck, West Hempstead, and here in the Five Towns. She will also be speaking at several schools, including Central in Queens and SKA in Hewlett. Since I received her book titled #Parasha, I’ve been reading her fascinating comments on our weekly Torah reading, and I also receive a daily WhatsApp message from her with a similar theme to the pieces presented in her book, which was published in 2017. 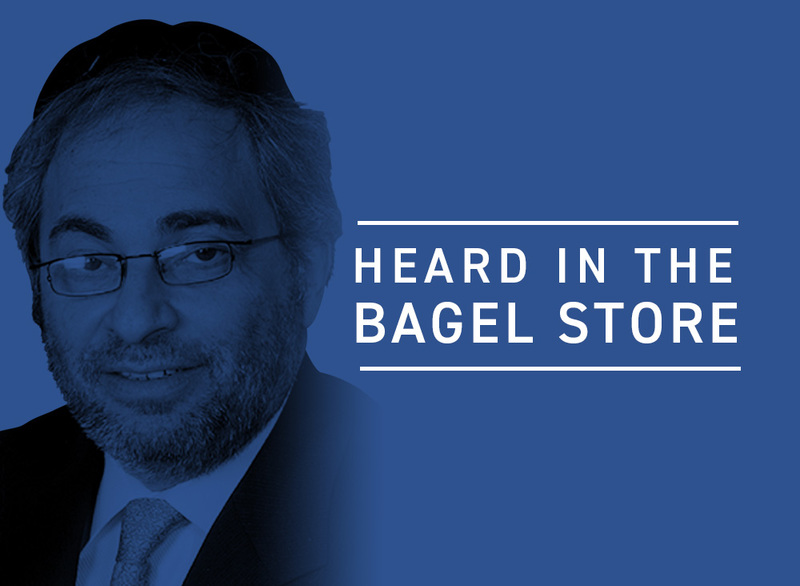 Erev Rosh Hashanah, just a few hours before the holiday began in Israel, I spoke with Sivan about the upcoming whirlwind weekend and the theme she intends to strike with her audiences on the issues of the day. 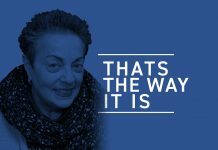 Her talks are titled “21st Century Teshuvah—a Synergy of Media and Meaning,” and she plans, she said, on discussing how we, as the People of the Book, can successfully use social media in the same inspiring way that we use our ancient written texts. Sivan Meir says that she believes it is imperative for social media to be effectively incorporated into contemporary Jewish life because this is the new mode of communication and the language that the world is speaking. Mrs. Meir is one of the most popular media personalities in Israel today. 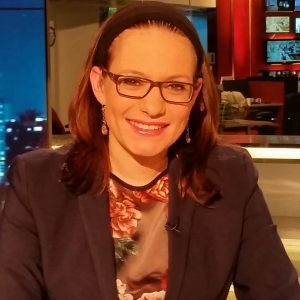 She is a primetime anchor on Channel 2 News; has a column in Israel’s largest newspaper, Yediot Aharonot; and has a weekly radio show on Galei Tzahal (Army Radio). She has been working in the Israeli media since the age of six and became Orthodox as a teenager. Her writing and presentations are influenced and inspired by works on Chassidus and Mussar, she says, and she plans to speak on the compartmentalization of religious life and suggest that, based to a great extent on her personal experience, it is not necessary to separate who we are from the way we observe or practice our Jewish way of life. Here’s a great piece that I came across last week on Parashas Nitzavim on the following pasuk: “But not only with you am I making this covenant … but with those standing here with us today before the L-rd, our G-d, and with those who are not here with us, this day” (Devarim 29:13–14). In his answer, Tabenkin showed that he bears responsibility for the past and the future, even for people who are not physically present. I believe that this is a great and important message that is contained in the parashah that is traditionally read in our shuls on the Shabbos prior to Rosh Hashanah. And this in part will be the message that Sivan Rahav Meir will be communicating to her listeners over this Shabbos Shuvah weekend here in New York. On her father’s side, Sivan is a seventh-generation Israeli; her mother’s side immigrated to Israel from Poland after the war. She lives in Jerusalem with her husband, media personality Yedidya Meir, and their five children. My current sukkah, the one that is at the moment waiting patiently inside the shed in my backyard, may have seen its last Sukkos in my driveway. And that is because it is time for a change, and our friends, Steven and Jonathan Litton have convinced us to procure their unique sukkah, which, as you may have seen, consists of a traditional sturdy frame and is made of Sunbrella acrylic material. A Litton sukkah is not only as sturdy and wind-resistant as they come, but it is also a great look, a perfect way to celebrate the chag in style. And like I have said before, even though the Litton brothers have been building sukkahs for almost two decades, since they were young children but old enough to pick up a tool and build a sukkah, getting your sukkah built in a timely fashion has been redefined by these young men. I’m not sure when the new sukkah is going up, but I have a feeling it is going to be a day or two before Yom Kippur, even though Steven called me last week to ask if he could put the sukkah up before Rosh Hashanah. I hesitated for a moment but then told him that I really didn’t want the sukkah up in my driveway for a full month—regardless of how great-looking the sukkah is. I mean, considering that it is a 10-day chag, the sukkah is almost guaranteed to be up there for most of three weeks. The sukkah business has evolved for the Litton boys over the years with the highlight being the tight and strong Sunbrella sukkah that they developed and manufacture themselves after seeing so many other sukkahs just plain fall apart once the unpredictable weather becomes somewhat adverse. With the Litton sukkah you can be confident when you open the door of your home on a yom tov morning that the sukkah is definitely going to be out there where it is supposed to be. And more than anything else, the boys are a pleasure to deal with. Whether you bought one of their sukkahs or not, you just call them and it’s just a matter of a day or two until one of their crews is there at your home hammering away and getting your sukkah up. What more can you ask for at this time of year?